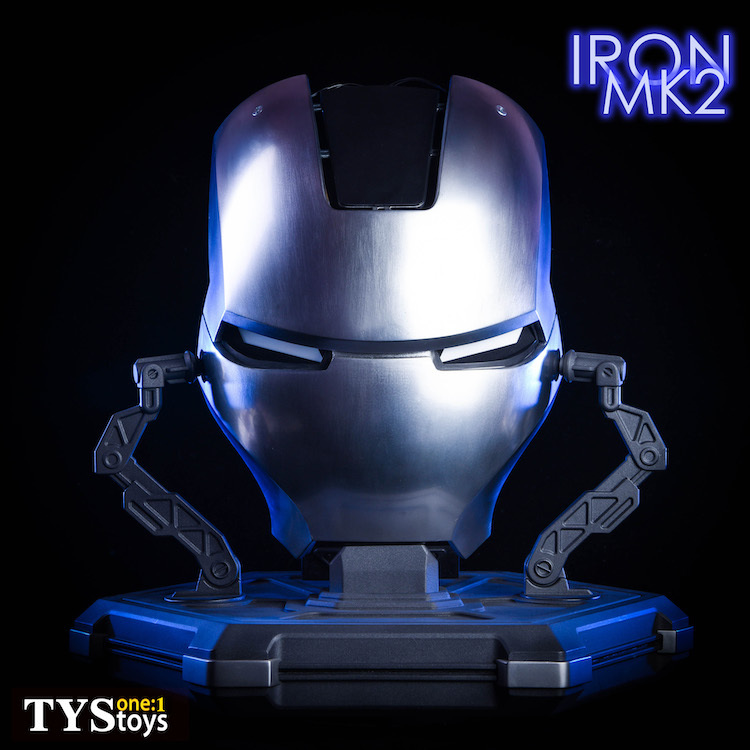 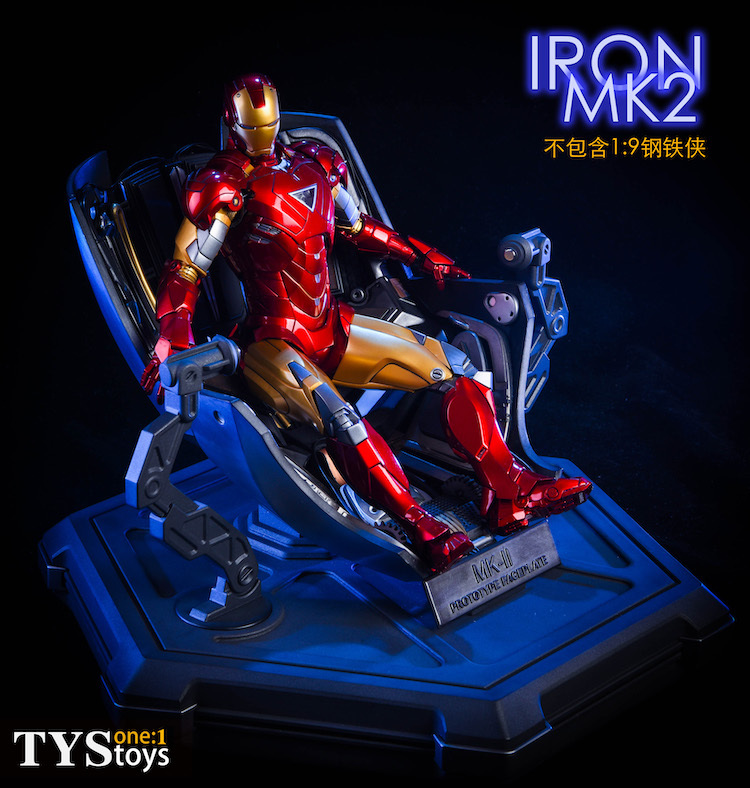 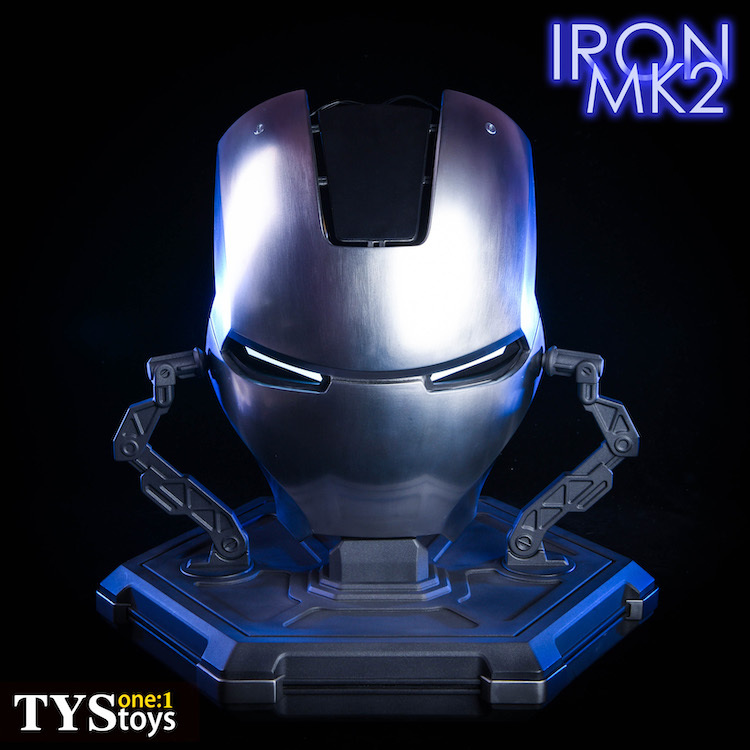 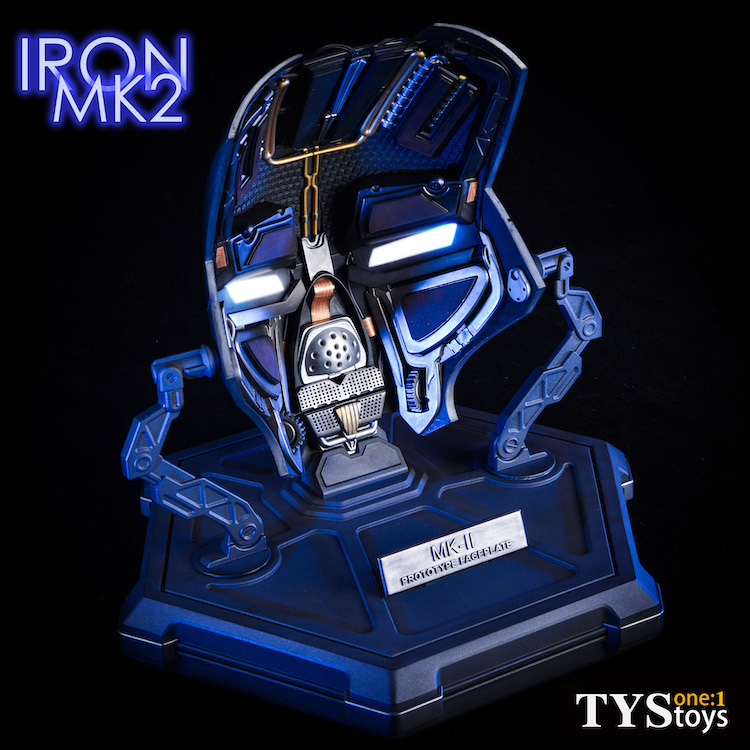 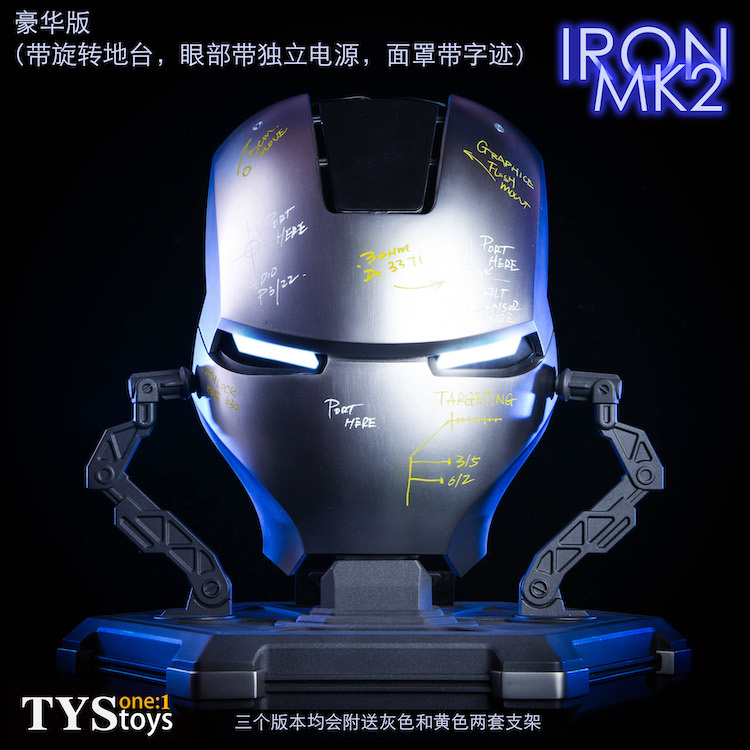 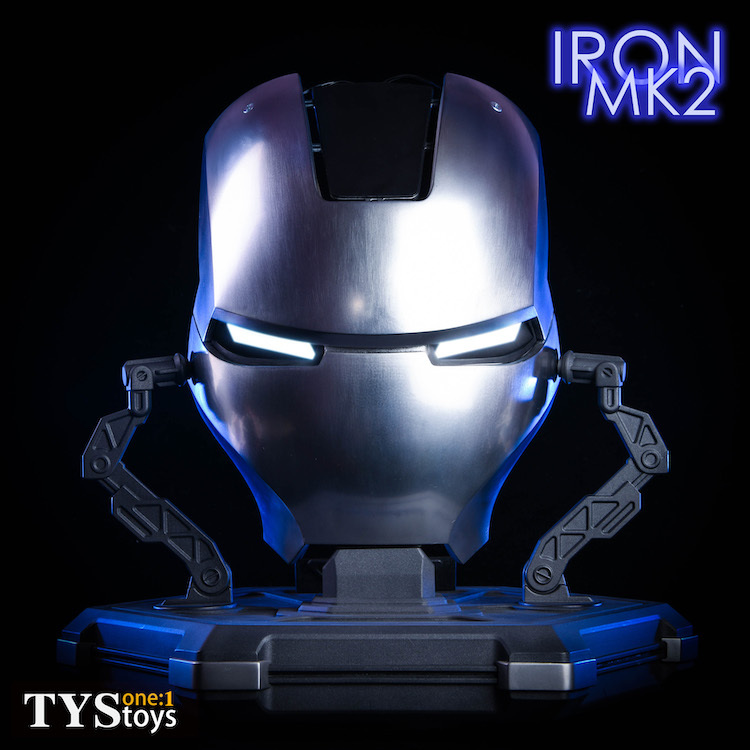 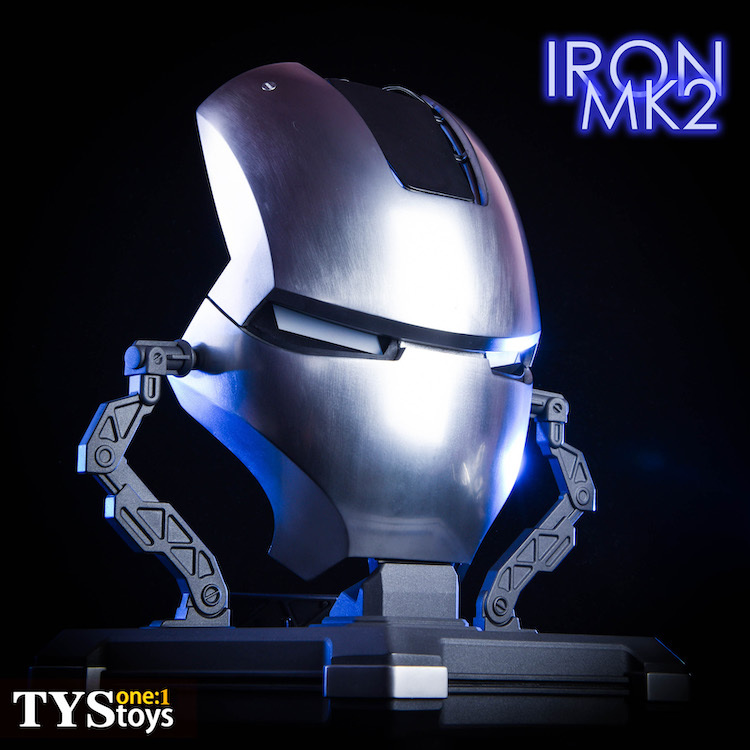 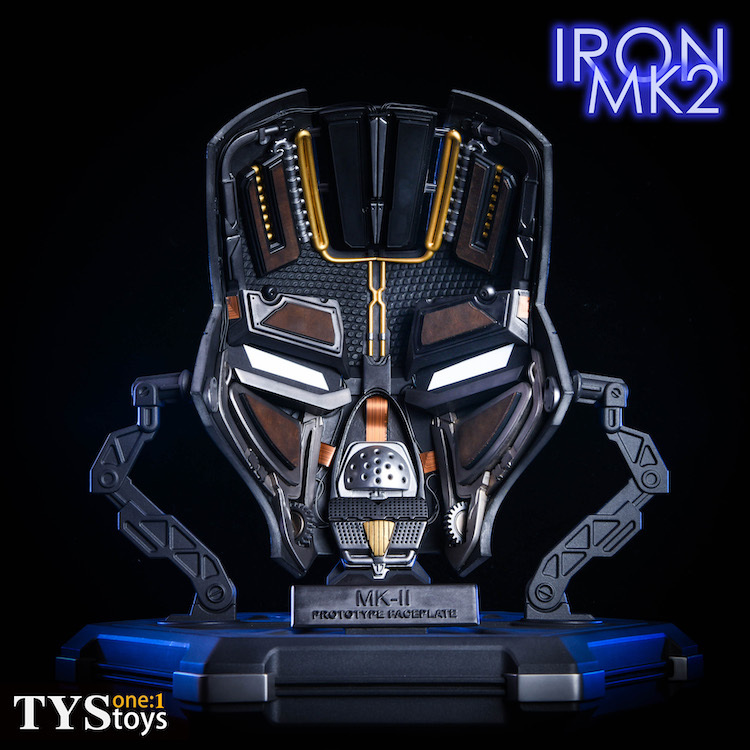 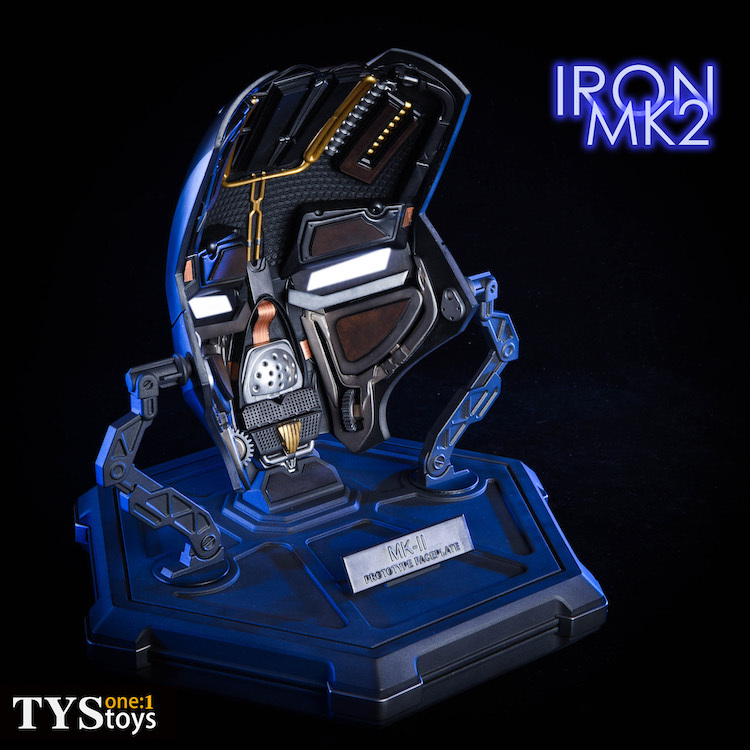 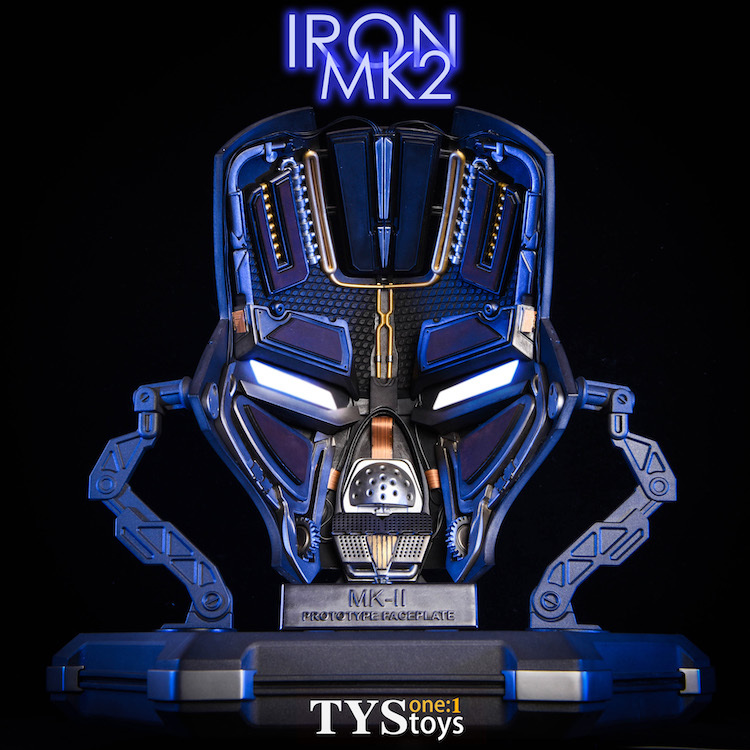 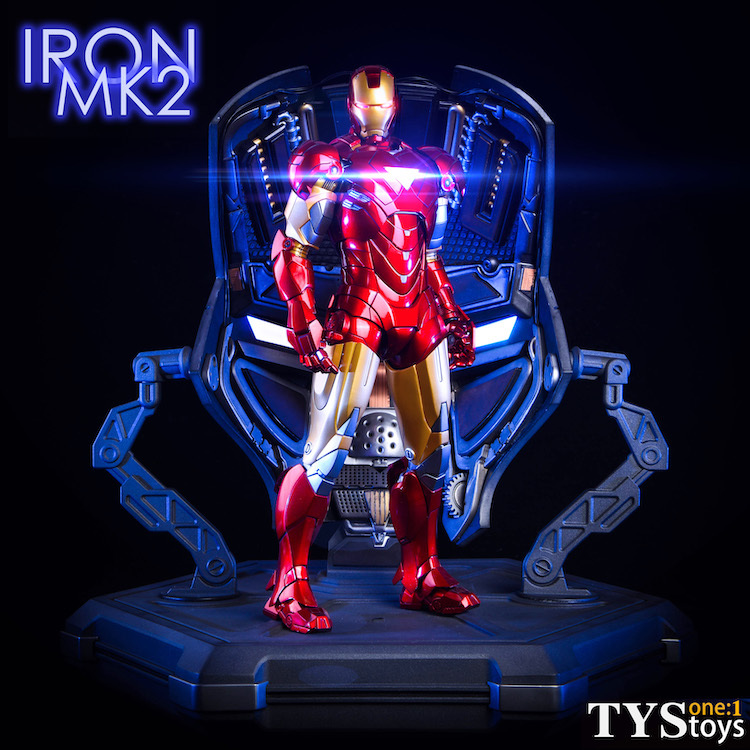 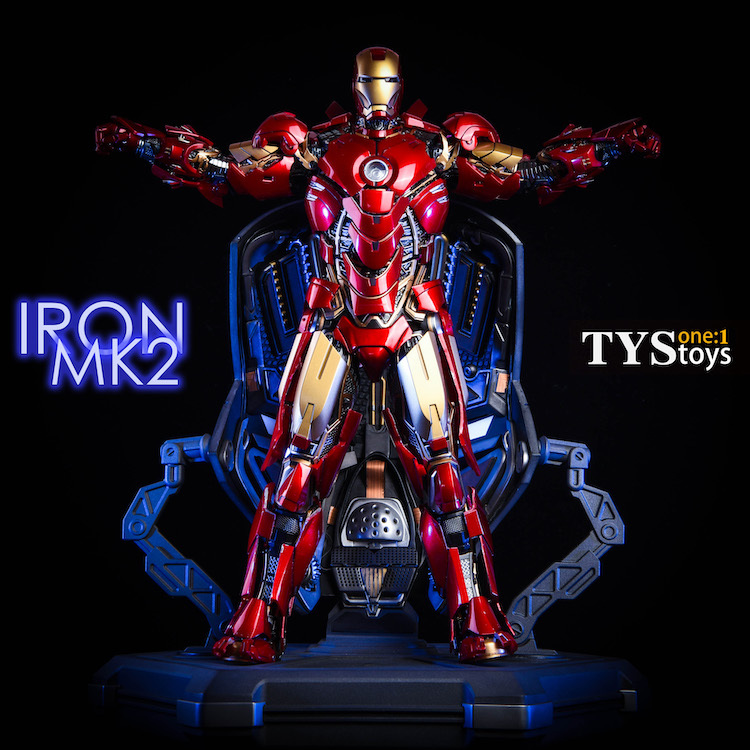 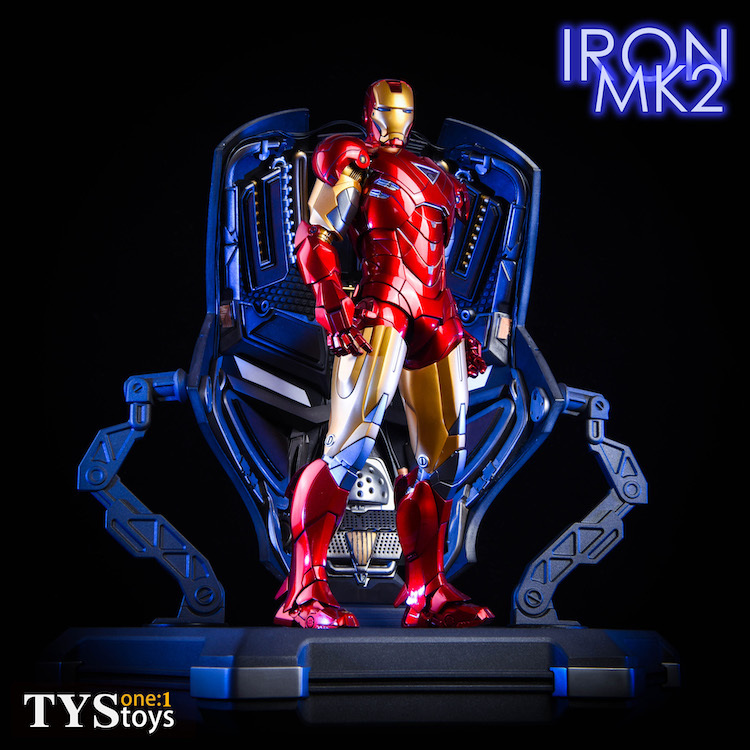 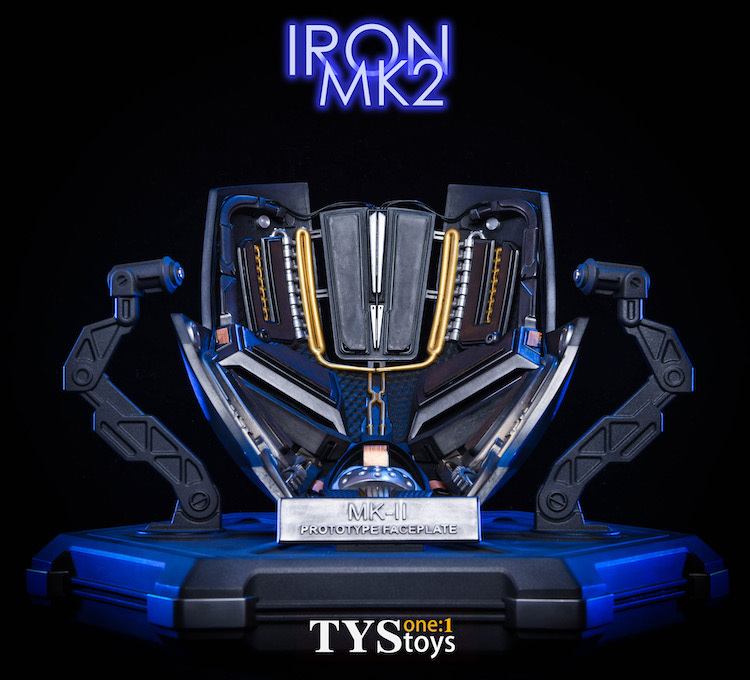 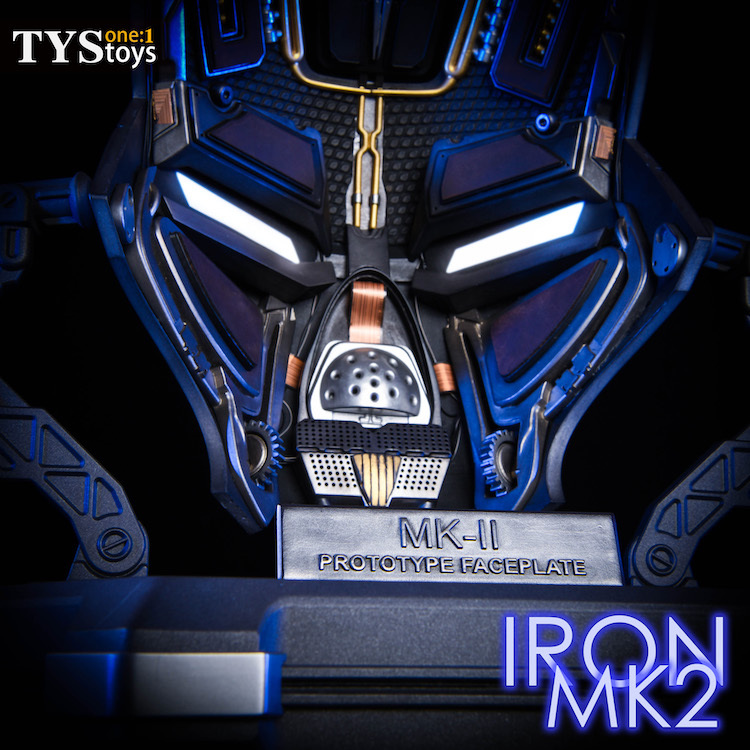 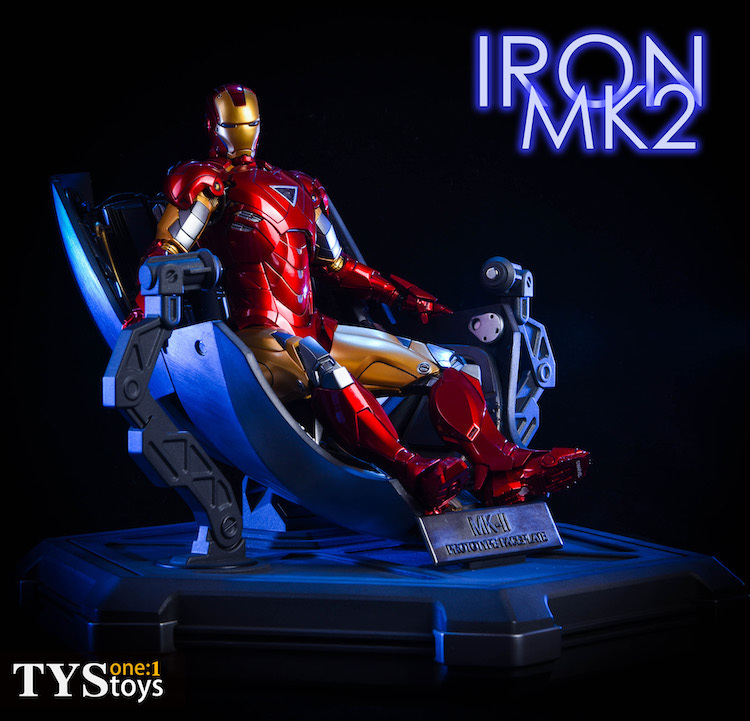 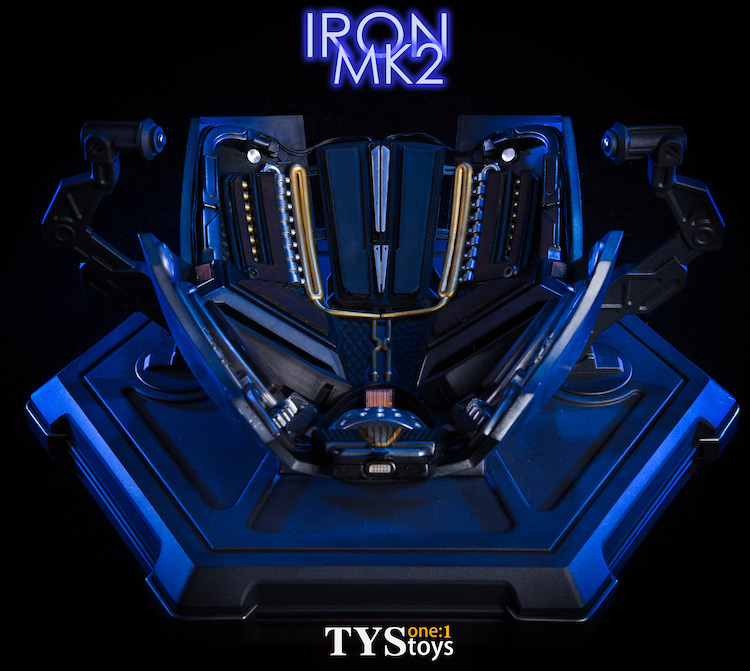 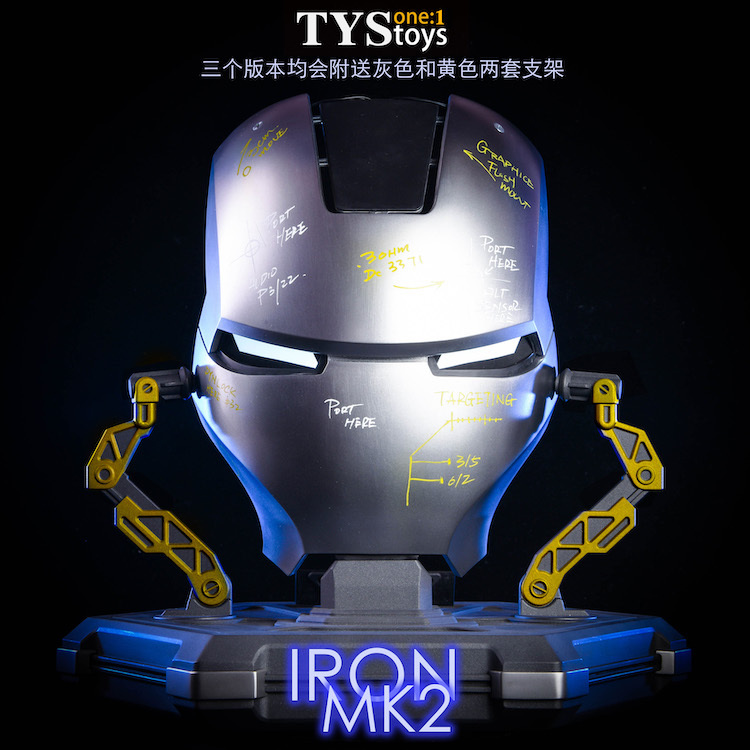 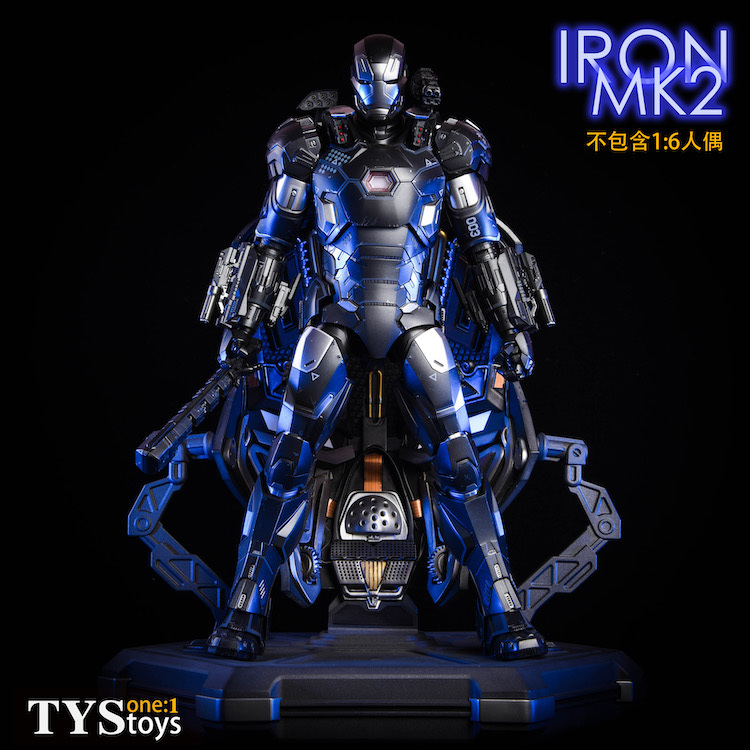 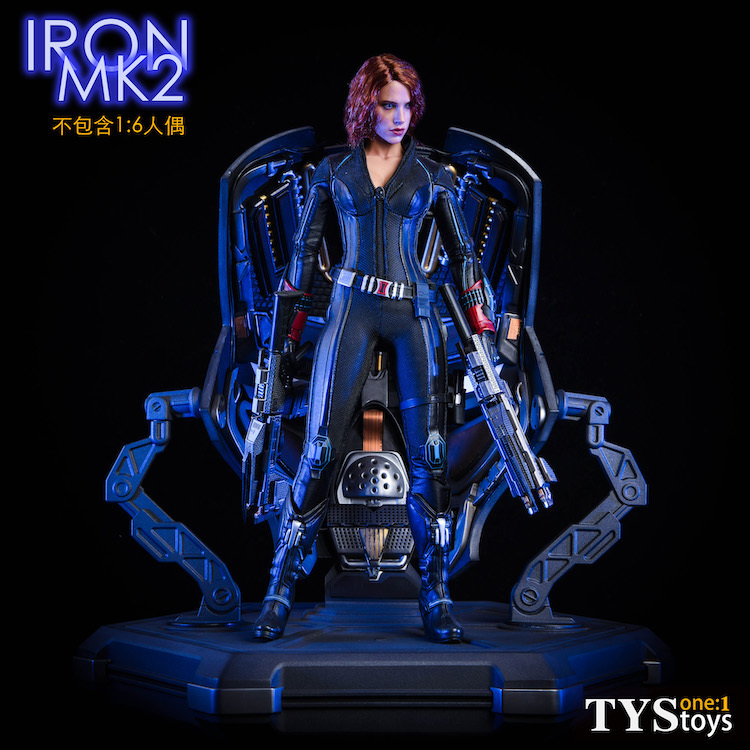 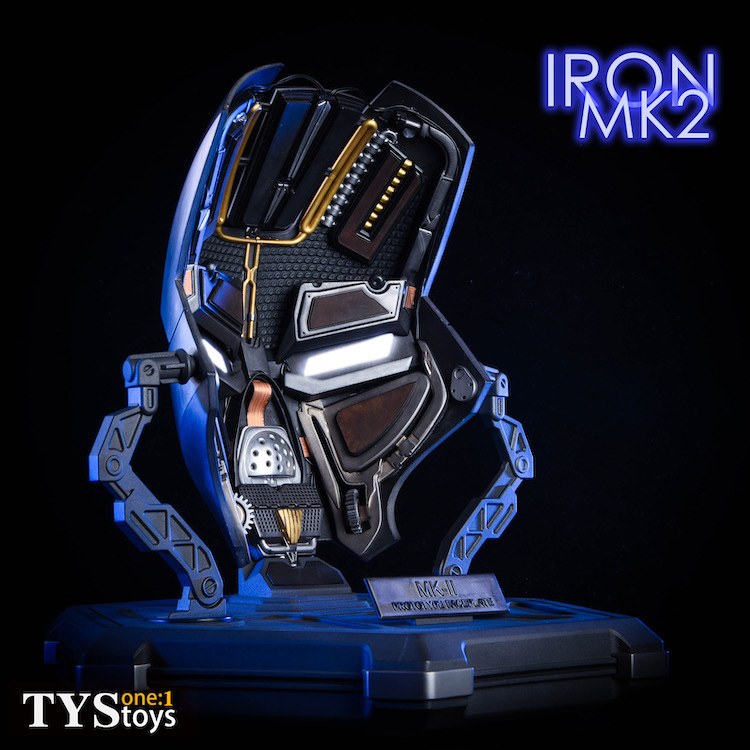 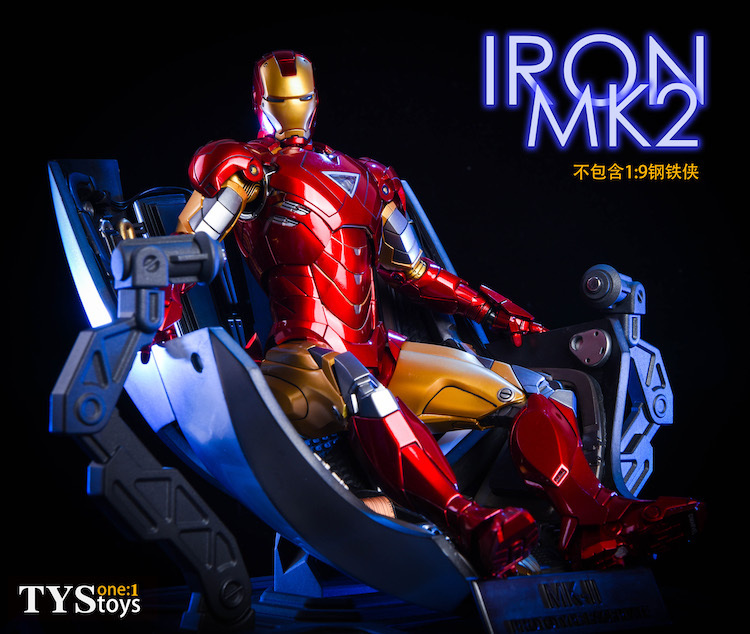 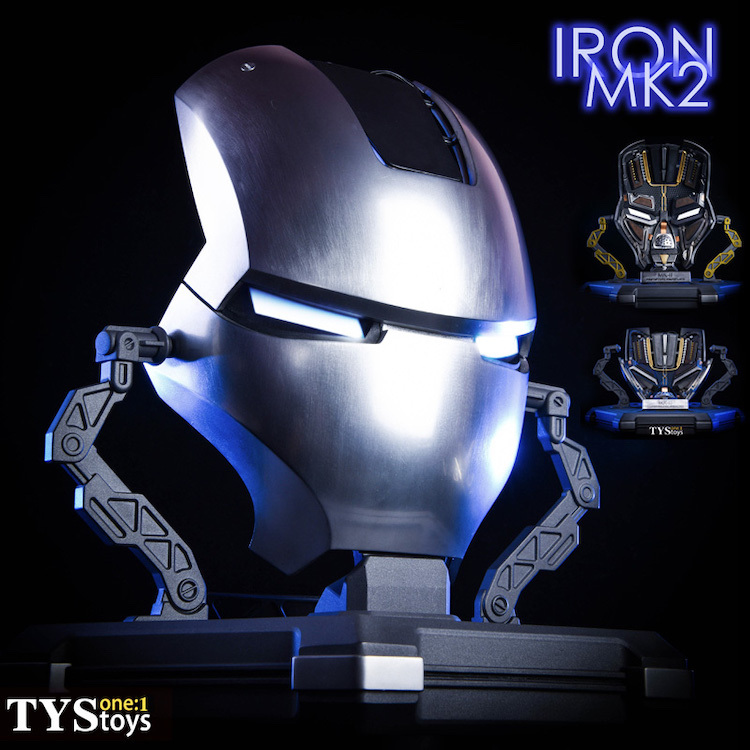 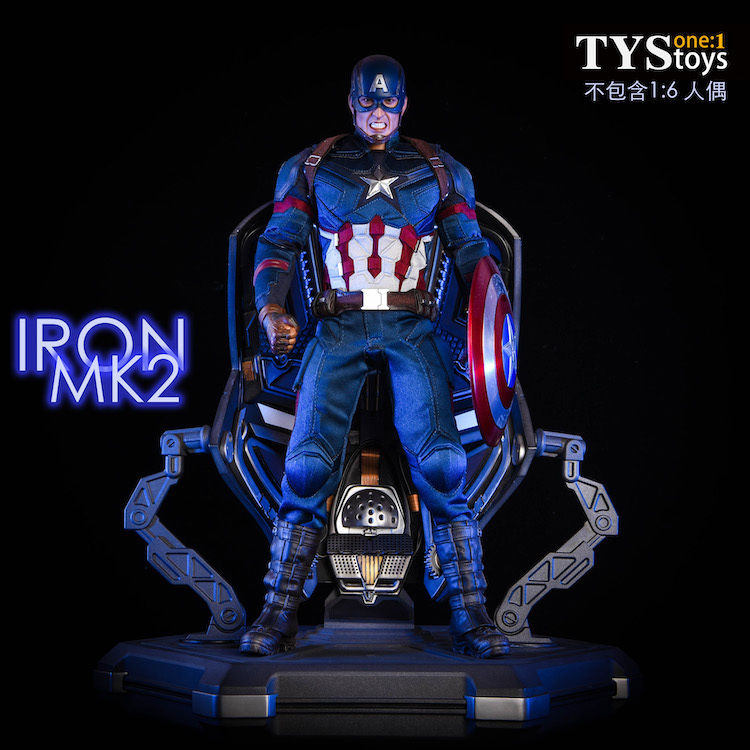 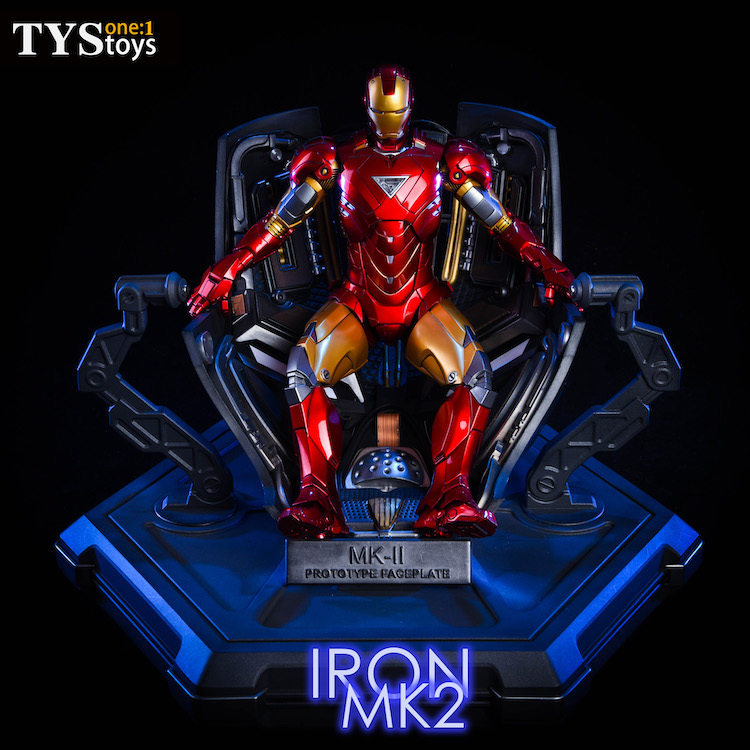 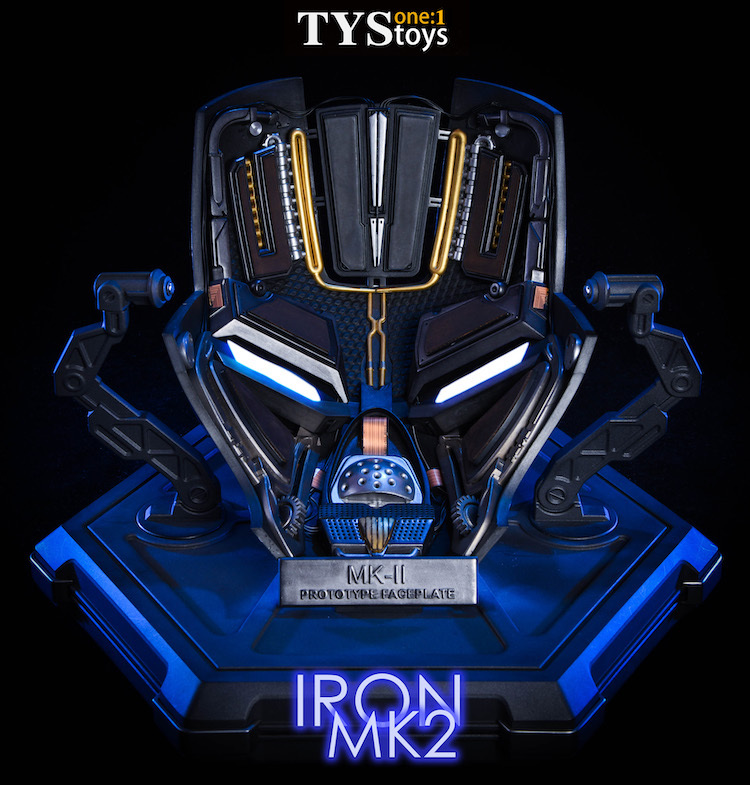 TYStoys 1/1 钢铁侠MK2面罩兼地台 金属材质 可发光。带旋转版本兵人在线 - Powered by Discuz! 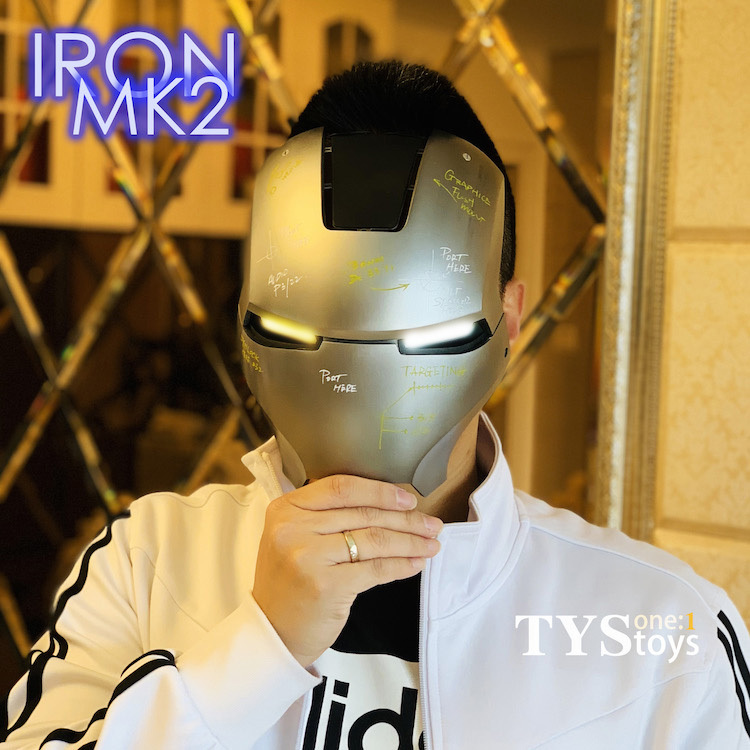 Material: The mask is made of metal and the details are environmentally friendly polyurethane. 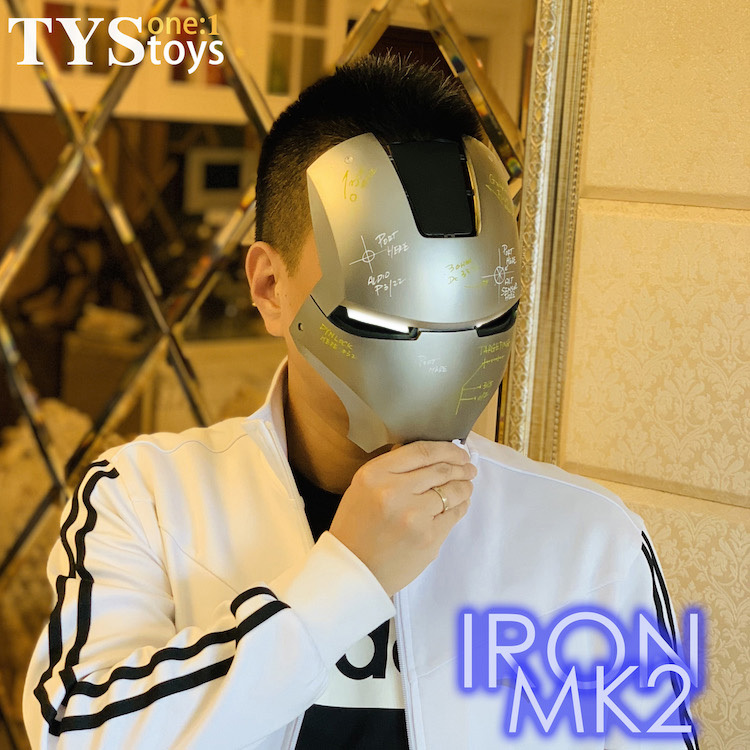 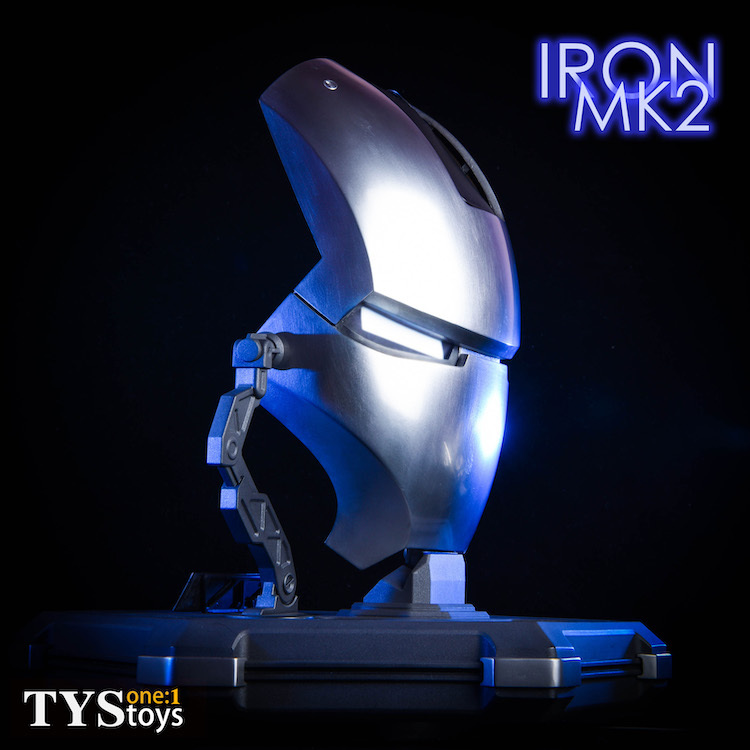 Feature: The mask body can be illuminated (can be manually turned off), the ground rotation and charging function, can be used as a stand for 1/6 model. 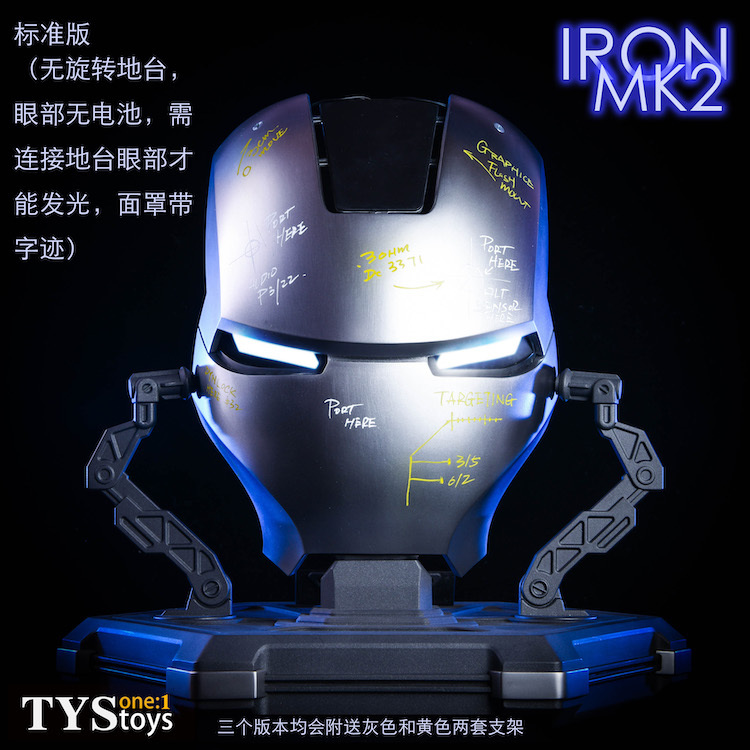 manually. 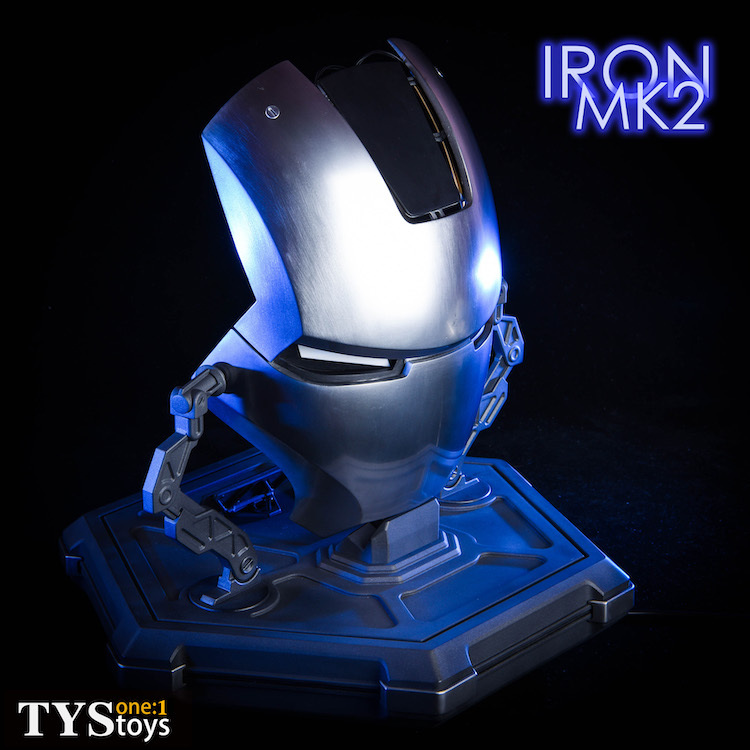 The brand name on the platform can also be replaced by replacement parts. 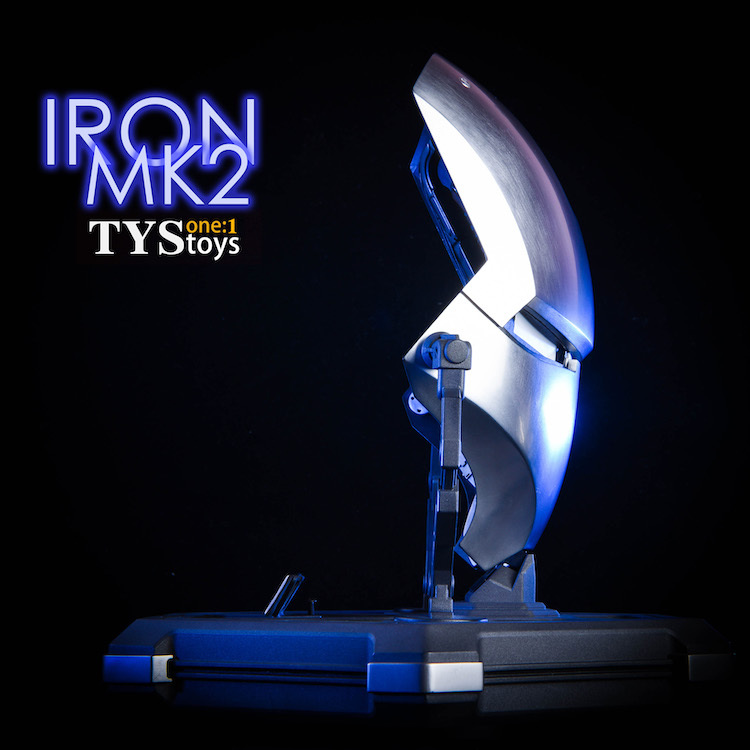 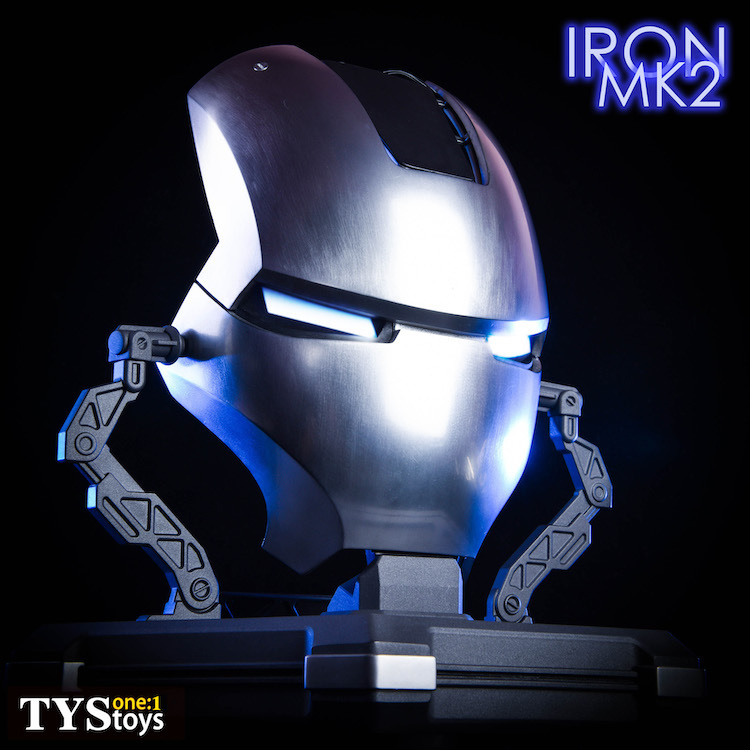 The HT bracket provides a possibility for the 1:6 Iron Man. 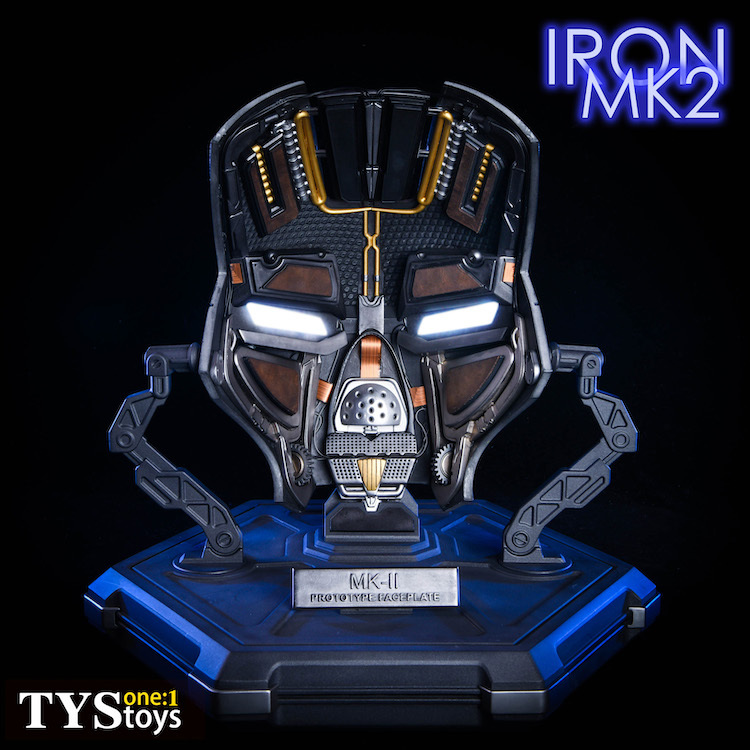 In addition to this full-featured version (Deluxe Edition), there are two other versions available, one without the mark(customized) Players can write their own custom content; the other one is without the ground rotation and charging features, and only shines on the ground (Standard Edition). 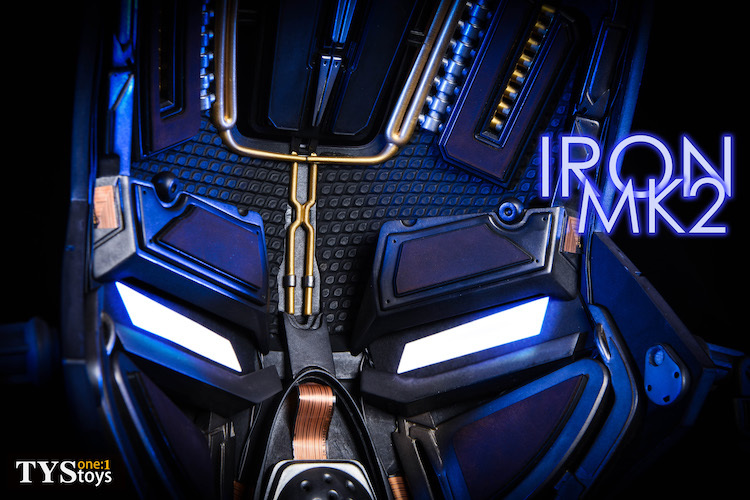 Details "This mask has been upgraded in some detail based on the official information. 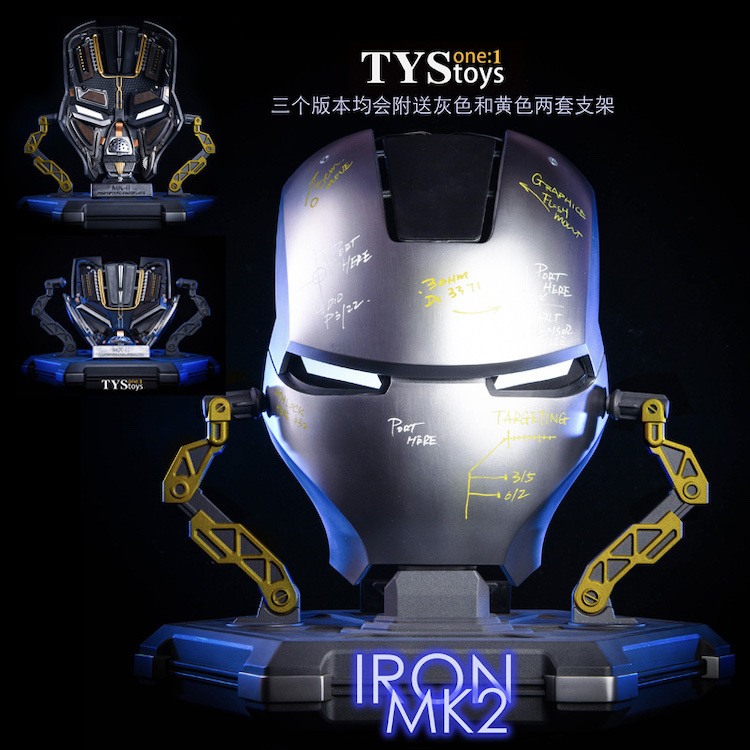 The mask is made of metal and has a full sense of weight. 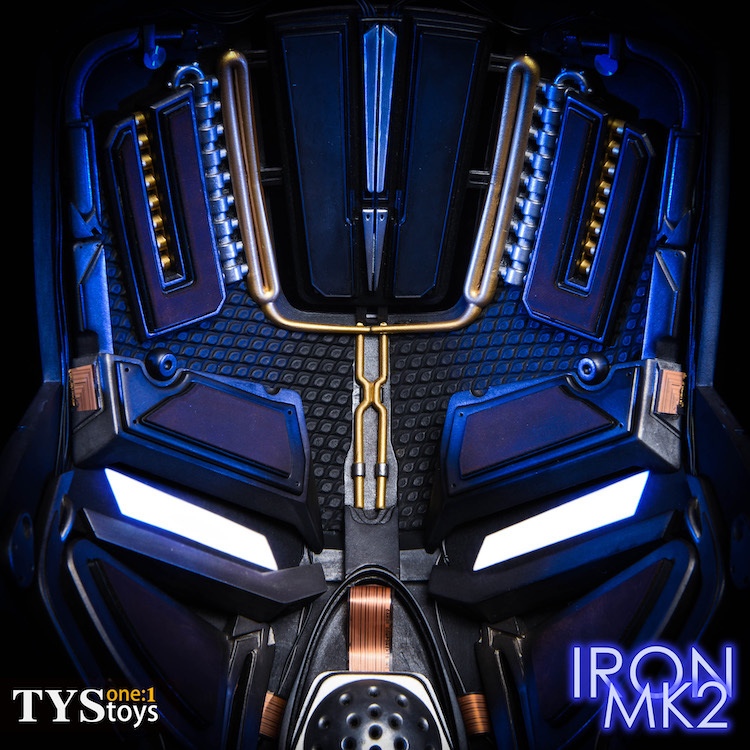 The key joints and load-bearing parts are made of metal. 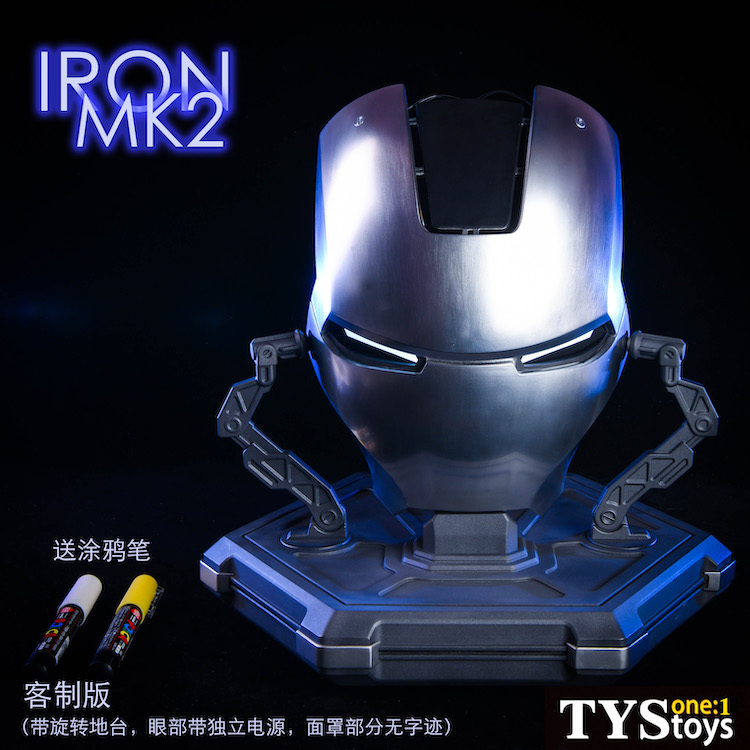 In addition, the cable, leather, magnetic adsorption and some appearance. 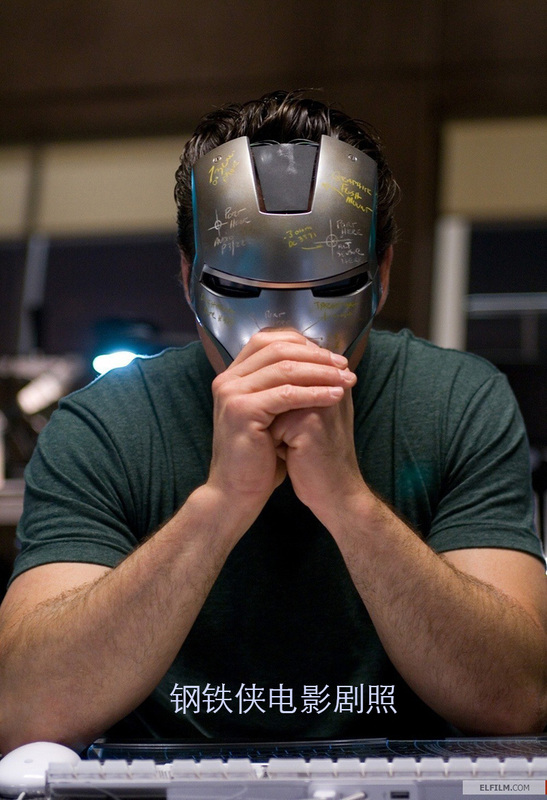 The adjustment is worth mentioning. The official information is limited, the debugging content outside the mask is not clear, and the various materials are reviewed and the missing content is finally completed in the most reasonable way. 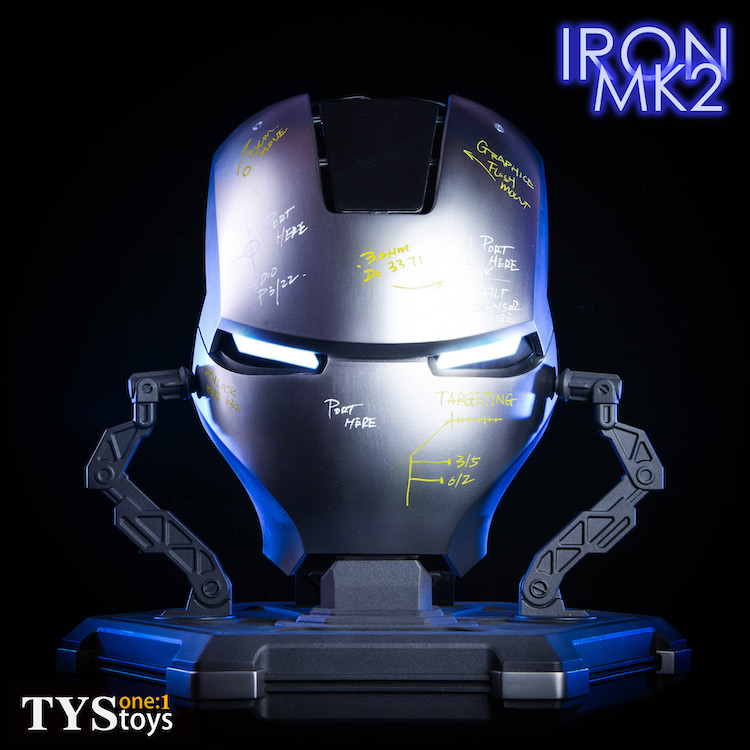 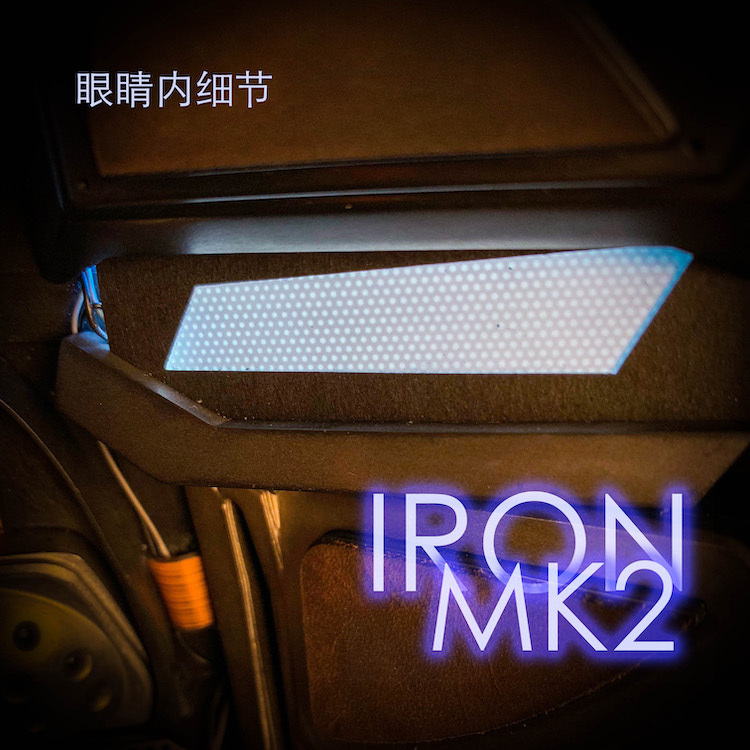 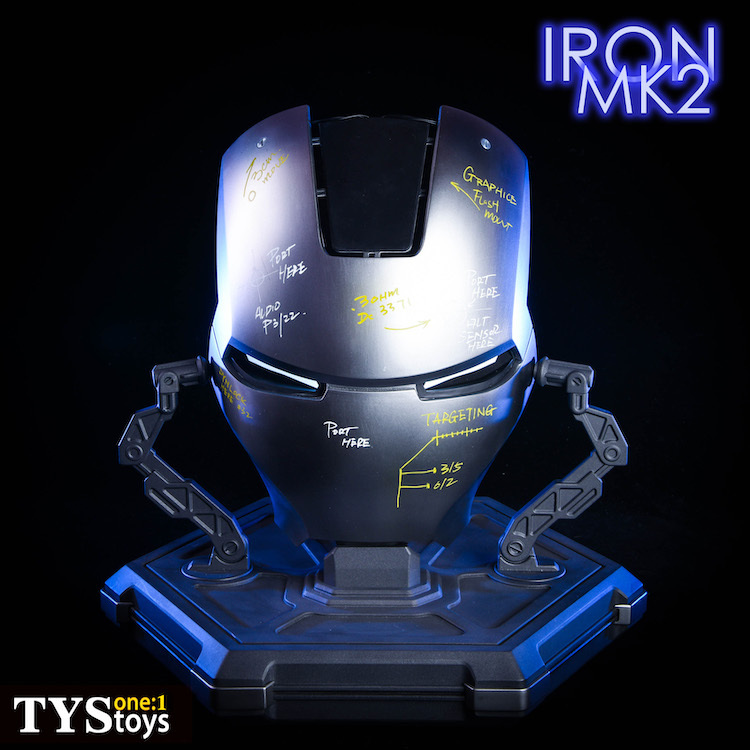 With a water-based pen in custom edition, players can freely write what they want and create their own Iron Man mask. 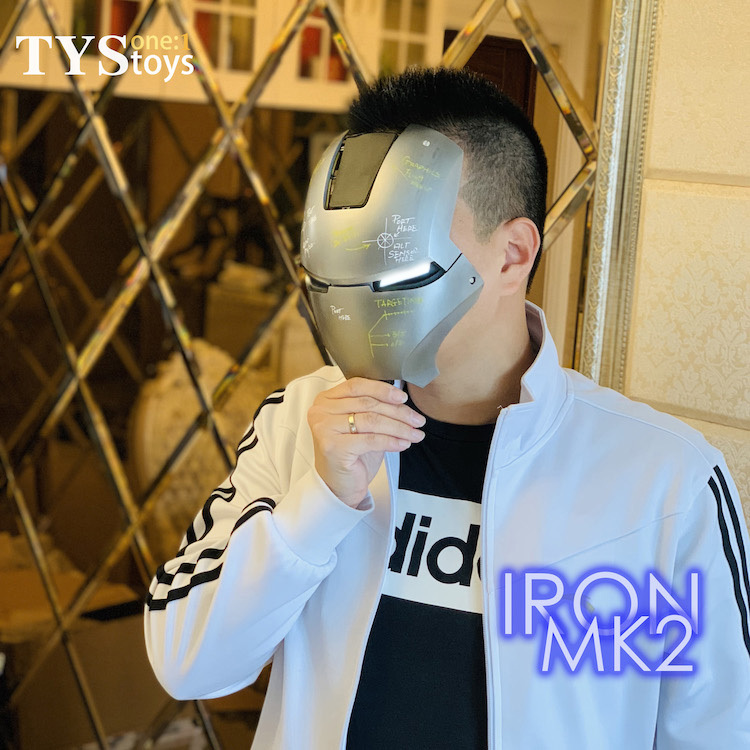 GMT+8, 2019-4-20 01:26 , Processed in 0.861690 second(s), 33 queries .